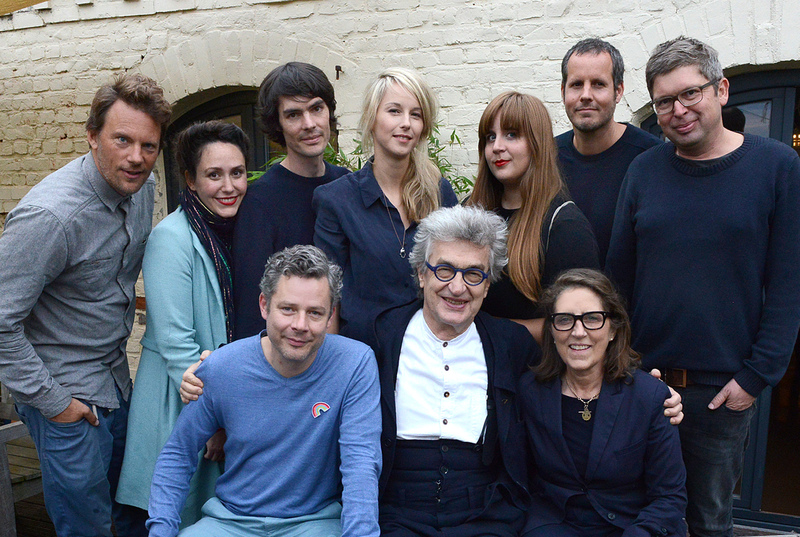 In a ceremony held at Düsseldorf’s Filmwerkstatt on September 28, 2017 together with Wim Wenders Stiftung the Film- und Medienstiftung NRW presented the Wim Wenders Grant for the fourth year in a row. The grant, awarded annually and with a total value of 100,000 euros, is intended to provide young filmmakers with the necessary freedom to develop their cinematic ideas independently and self-sufficiently. From a total of 27 submitted applications, the jury chaired by Wim Wenders himself selected five projects to receive the grant. In addition to the quality of the material, the originality of the projects’ visual conception was the primary deciding factor for the jury. In addition to Wim Wenders, the jury was composed of Petra Müller, CEO of Film- und Medienstiftung NRW, and Mirko Derpmann, creative director and partner of the Scholz & Friends Group. As was the case last year, on the eve of the grant presentation ceremony a colloquium took place with the grant recipients of the previous two years. In the scope of this event, the filmmakers briefed the jury headed by Wim Wenders on the current state of the funded projects, showed first samples of their work and engaged in a dialogue with their peers and jury members about the further development of their films. “Freetime Mermaid” takes an artistic, essayistic look at the phenomenon of “mermaiding” – women that adopt the persona of the mermaid for the most diverse reasons. At first glance the extravagant acts of a fringe group, this pop (cultural) game of identity reveals itself to be a perfect foil for reflections on staging, gender relations and mass culture. Will our era seem like a golden past to coming generations? In the year 2045, endless monocultures feed 10 billion humans. The cacophonous choir of bird song that once characterized the 20th century is now all but mute. Alas, images of the extinct species continue to flicker on in memory. In this film, people live out their longing to return to the golden age of the 2010s and 20s – our present – to those days in which the great dying-out was merely a footnote to endless political and religious conflicts. A historical documentation from a not all too distant future. In the 18th century, two girls from the countryside follow a scheming agent to the big city, where they hope to start a new life. Once there, they are confronted with capitalism, with the temptation to sacrifice their values to the pursuit of success and the fulfillment of immediate needs. Soon the girls are faced with the choice between adapting to the new world or being devoured by it. Whatever Europe no longer needs ends up in Africa – in Agbogbloshie, the biggest electrojunk garbage dump in the world and one of Earth’s most contaminated places. In this VR film we dive into an apocalyptic vision with teens Ondiege and Charles, who live and work at the landfill, a world that has more to do with us than we all might think. On the way to work, Klara stops dead in her tracks. From this moment on, she ceases to live the life she had become accustomed to. Piece by piece, she dissolves her identity. She withdraws to the basement – and becomes stylized as a basement saint. She stops speaking – and is declared insane. Alas, Klara doesn’t succumb to external pressures. Liberated, she flows through the pulse of the metropolis as a phenomenon. Klara finds calm in perpetual motion. Her neighbor, a contemporary composer, follows her puzzling path with curiosity, finally attempting to lend a musical form to silence.